A North Korean anti-smoking campaign has apparently failed to persuade young leader Kim Jong-un to quit, despite his late father’s warning that “a cigarette is like a gun aiming at your heart”. During a public campaign to lower the country’s high rate of smoking, Kim was seen without a cigarette for more than 80 days, sparking speculation that he may have kicked the habit. 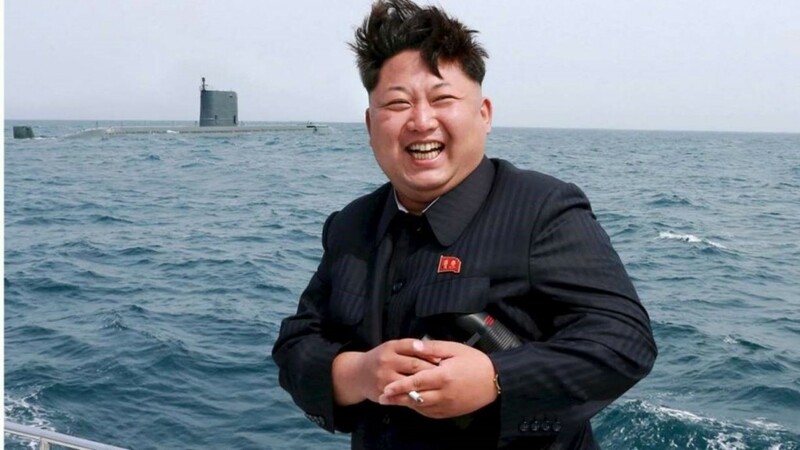 But a photo in the North’s top newspaper, the Rodong Sinmun, last week of Kim smiling and holding a burning cigarette while visiting a children’s camp in Pyongyang seems to have dampened such expectations. There have been plenty of photos of Kim lighting up in the past. He smoked when he inspected a ballistic missile plant, visited construction sites, toured a hospital and attended various sports competitions and art performances. He puffed away on an underground train and even in front of his pregnant wife. The North’s state media have been hailing Pyongyang’s “hectic” anti-smoking campaign, which has been staged nationwide over the past month. Korean Central TV recently aired a documentary series focusing on health risks from smoking, with one female interviewee saying: “People who smoke first thing in the morning are disgusting and harmful to others”. Kim’s father Kim Jong-il and grandfather Kim Il-sung were also heavy smokers. Both died of heart attacks. “A cigarette is like a gun aimed at your heart,” Kim Jong-Il said in early 2000, when he appeared to have kicked the habit. But he lapsed in 2008 and died three years later.